Let me ask you – do any of these areas resonate with you? Do you sometimes find yourself unable to truly say what you want to say, to get your point across, wondering how to best say what you want to say? Do you find yourself having confrontations rather than conversations? Have you reached a life and career point where you’re bored, tired, and fed up – asking yourself “Is this all there is?” about your life and work? Do you have sacred, secret dreams of what you’d really love to be doing?, but simply don’t believe you could actually create the changes you need to make so you could be doing them? Are you thriving or burnt out? Do you sometimes think your life works against you, rather than for you? How to manage and thrive in those difficult conversations and meetings. Project a confident, wise presence – that indefinable and essential quality that sets you head and shoulders above others. Communicate your ideas simply and clearly, ensuring understanding and buy-in. Motivating yourself and others in any situation. Moving from burnout to thriving in your life. All the work we do together is treated in absolute confidentiality. I work with individuals, privately or through your organisations, to develop your confidence, communications and leadership skills, create your career path and enhance your mental and emotional wellbeing. Your best outcomes are clearly established before we get into the nitty-gritty of the work, we do regular evaluation, and together we create the sustainable changes and differences that will make the difference to your wellbeing, career and life plans. 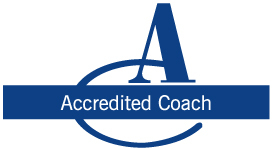 Services are delivered through a choice of Executive Coaching, Transformational Development, Mentoring and Accredited Coach Training (AoEC).